Matt LeBlanc will be the first American to play James Bond in this week's Top Gear. Filling in the void of Clarkson, Hammond and May in the new era of Top Gear was never going to be easy, but the trio of Matt LeBlanc, Chris Harris and Rory Reid have done a stellar job so far. Top Gear is well and truly back on track. Dare we say it, but their on-screen chemistry seems less forced than some of the cringe-worthy episodes of The Grand Tour. While still not perfect, the first two episodes alone were a vast improvement over last year’s dismal effort with Chris Evans at the helm. Crucially, the car is the star in this new season rather than the presenter’s egos – just as it should be in a car show. The cars featured in this season have been spectacular so far. We’ve already seen the driving god that is Chris Harris bravely drift a 1,035-hp Ferrari FXX K and skilfully slide an Alfa Romeo Giulia Quadrifoglio through a hole. And it’s only going to get better, as future episodes will feature the new Ford GT and Bugatti Chiron. This week the Aston Martin DB11 will be making an appearance, but before you say we’ve already seen it on The Grand Tour, there’s a twist. 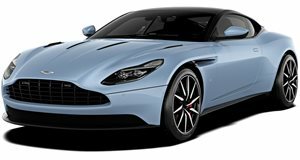 Since Aston Martin is synonymous with James Bond, the road test takes on a Bond theme. As the first American to play the swathe spy, Matt LeBlanc dons a tuxedo and faces off in the DB11 against Chris Harris, who plays the role of a Bond villain, in a Mercedes-Benz S63 AMG. Judging from the first trailer, it all culminates in a high-speed police chase. Given the show’s slick production, this should be a series highlight. Elsewhere, Rory Reid heads to the Nurburgring to celebrate the 40th anniversary of the original Golf GTI reaching UK shores. We’ll get to see the new Clubsport S get put through its paces, and queen of the Nurburgring Sabine Schmitz makes her first appearance in the series as well. Matt LeBlanc also looks back at the rather fetching Fiat 124 Spider to see how it compares to the new Abarth 124. If Top Gear can maintain the quality of the first two episodes, this could be the best season in years – something we didn’t think we would be saying after last year’s season nearly wrote off the show for good.